George Frederic Watts by George Frederick Watts, c. 1860 © National Portrait Gallery, London. 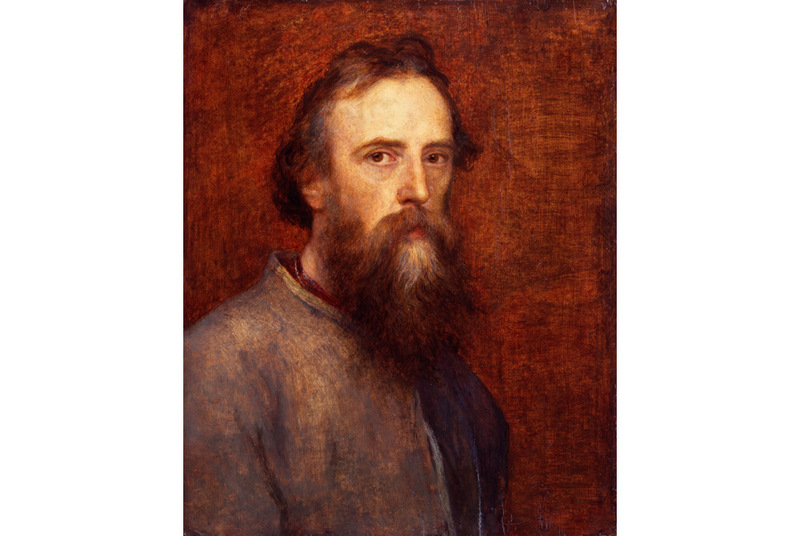 LONDON.- The National Portrait Gallery has been awarded funding to catalogue the papers of the nineteenth-century British artist George Frederic Watts (1817-1904). The £23,582 received from the National Cataloguing Grants Programme for Archives will be used to document the contents of the Gallerys papers relating to the artist celebrated for his Hall of Fame of portraits of eminent Victorians. Many of these portraits were acquired by the Gallery and the papers include important letters relating to its paintings including those of Matthew Arnold and Thomas Carlyle. The Watts Collection, held in the Gallerys Heinz Archive and Library, contains approximately 3,000 letters written to, or received by, the artist. This series was compiled by his second wife Mary Seton Watts (1849-1938) following her husbands death, in preparation for her biography of him, published in 1912. In July 1905 Mary Watts advertised for the loan of Wattss letters, intending to make copies for biographical research. The correspondence, both original and copied, was arranged and pasted into 15 albums, of which the National Portrait Gallery acquired 14, plus many loose letters. The letters represent a broad cross-section of the artistic and social circles in which Watts moved. Many important Victorian figures are represented, including Matthew Arnold, Robert Browning, Julia Margaret Cameron, Thomas Carlyle, William Ewart Gladstone, Sir John Everett Millais, Cecil Rhodes, and Alfred, Lord Tennyson. The shortest letters record appointments for sittings and social engagements. More detailed exchanges relate to the organisation of exhibitions of Wattss work and his art practice. The Heinz Archive and Library of the National Portrait Gallery, London, documents the history of the institution and its activities. It also includes archive collections acquired from external sources, including the papers of key portrait artists and art historians. The Watts Collection is one of the most significant of these collections. George Frederic Watts was considered one of the greatest artists of his age, internationally renowned and celebrated in his own lifetime. He pursued an individual artistic approach and is remembered most for his large-scale symbolist paintings reflecting Victorian sensibilities and Hall of Fame portraits, capturing his distinguished contemporaries in Victorian society. In artistic terms he is significant not only because of the works he produced, but because of his determined innovation in developing an artistic practice which was not tied to a larger artistic movement. The Archive Catalogue contains descriptions of the Gallerys own archive records dating from c.1856, when the institution was founded, to the present day. It includes records concerning virtually every aspect of Gallery activity: from acquiring, conserving and displaying portraits; to organising and staging exhibitions; and from constructing, managing and developing the building; to the everyday administrative business of running a National institution. The papers of former Gallery Directors, such as Sir George Scharf, Sir Lionel Cust and Sir Roy Strong, are also included. Cataloguing of archive collections acquired from external sources has recently begun. The project to catalogue the correspondence of George Frederic Watts will make a significant and exciting contribution to the Gallerys ambition to make all its archive collections searchable online. Saffronart Auction of Indian Folk & Tribal Art showcases the best works of the "other masters"